Shiv Sena spokesperson Manisha Kayande has slammed Maneka Gandhi for her unruly public behaviour and further targeted Bhartiya Janata Party regarding the Punjab national bank scam on Saturday. 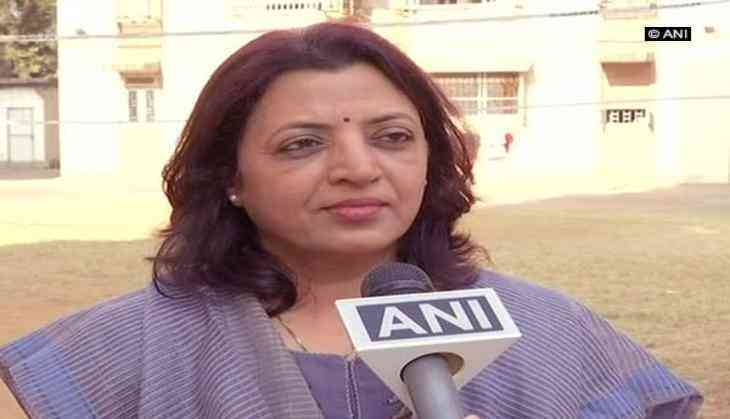 She has criticized the BJP leader and Union cabinet minister Maneka Gandhi for using abusive and harsh comments for an official at a public meeting on Friday. She said, "this type of utterance from a minister is causing an embarrassment to the government and there are other ways to set the things right". Maneka Gandhi earlier today abused an official over corruption charges in a public meeting. She further reiterated the statement of Prime Minister Narendra Modi "na khaunga, naa khane dunga" while blaming the BJP party for their incompetence to arrest those accused in the PNB scam including Nirav Modi. She also mentioned the names of Lalit Modi and Vijay Mallya who had been earlier named in multi-crore scams and declared as absconders by the national government. They both are still on a run. Manisha Kayande expressed her views in an article published in Saamna, a mouthpiece of Shiv Sena party in Maharashtra.